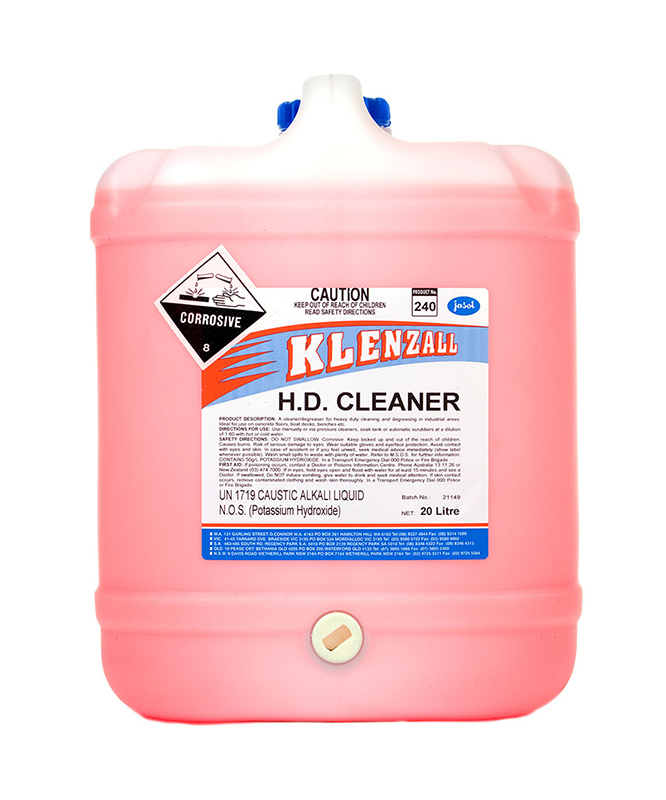 Klenzall HD Cleaner is a low-cost alkaline cleaner. 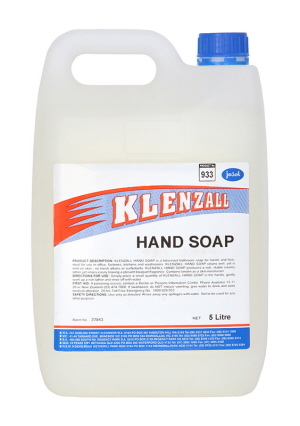 Great for heavy duty cleaning and degreasing in shopping, industrial and institutional areas. It is non explosive, non flammable and readily miscible with water. Available in 5L and 20L. It is specifically formulated for heavy duty cleaning and degreasing of concrete floors, fishing boat bilges and decks, engine degreasing, etc. even in extreme hard water conditions. 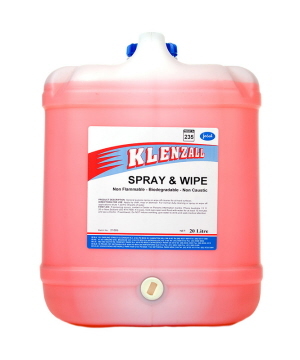 Klenzall Spray and Wipe is an economical liquid multi purpose cleaner. Available in 5L and 20L. Economical Bathroom Soap for Hand & Face. Available in 5L and 20L. 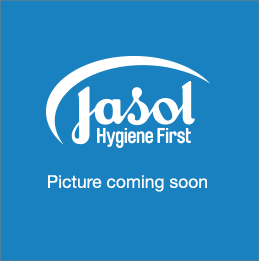 Fresh pine fragrance, phosphate free, strong residual effect reodorant cleaner. Available in 5L and 20L. 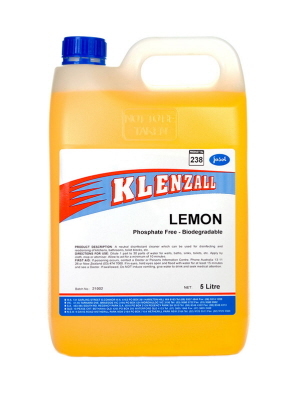 Great for multiple applications - phosphate free cleaner, sanitiser & reodorant with long lasting fragrance. Available in 5L and 20L.